HomeSuspiciousLilyVanity Review: Is LilyVanity.com Scam or Legit? LilyVanity Review: Is LilyVanity.com Scam or Legit? LilyVanity.com is an online store which is advertising on Facebook claiming to sell the anti-wrinkle product known as MAXCLINIC Cirmage Lifting Stick. Actually, it is not only claiming to sell MAXCLINIC Cirmage Lifting Stick but also other variety of products. So, you must be here because you were searching for the LilyVanity.com reviews to find out either LilyVanity a scam or a legit, what is LilyVanity.com in real, either MAXCLINIC Cirmage Lifting Stick works as shown in the advertisement or not, right? 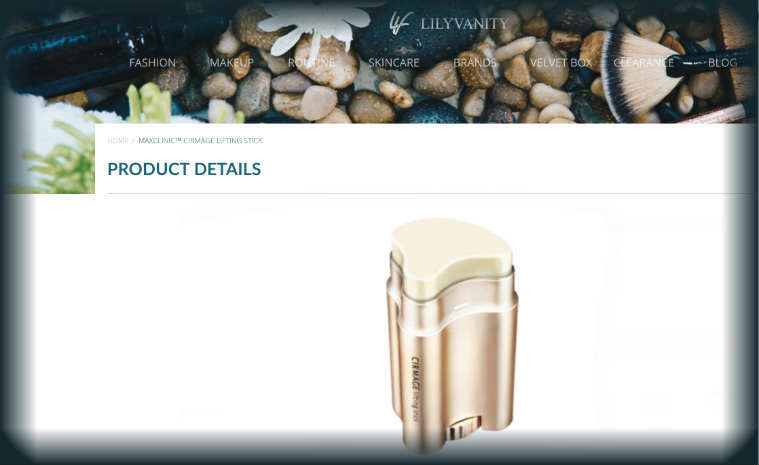 Well, then you have landed in the right place because here, within our Lily Vanity review, you are going to find out the complete truth about this online store. So your search for LilyVanity reviews to find out its reality ends here. OK, let’s begin with our LilyVanity.com review. We are also going to give you an idea either the wrinkle removal product known as MAXCLINIC Cirmage Lifting Stick works or not within this review. So, you will also find out the brief MAXCLINIC Cirmage Lifting Stick review here. # There is not any information about who and from where is operating and running the LilyVanity. However, every legit online store will provide the detailed contact information including the phone number, only scam online store doesn’t care to provide the contact information. # LilyVanity.com also has concealed the owner’s name and detailed company’s address within WHOIS which proves the owner of LilyVanity.com doesn’t want to reveal his/her identity which is obviously not a good sign. # The trust seal logo of VeriSign that LilyVanity has provided on its product detail pages is not clickable. However, the real trust seal logo of VeriSign should be clickable so that when we click that logo, that will send us to the official website of VeriSign to verify that trust seal. So, it is clear that LilyVanity is providing the fake trust seal logo, not the real one. This is a big warning bell as none of the legit sites will try to trick people by showing them fake trust seal logos. # Although LilyVanity provides the option to purchase the items using the credit card, it hasn’t provided the required security measures to secure the credit card information and has tried to trick people by showing the fake trust seal logo. So if you shop at this site, your credit card information can be stolen. # These days multiple new online stores are claiming to sell the various items on huge discount, but most of them are scams. So, it’s better to stay away from the new online stores or at least do some research before you purchase something from the new online stores because most of these new online stores don’t deliver the purchased items to their clients or, deliver completely different or very low-quality items. So, in this scenario, it is better to stay away from online stores like Lily Vanity which even don’t provide detailed contact information. Some of these kinds of online stores even have charged the credit card of clients randomly without their consent. So, if you have ever purchased mistakenly from scam sites, we suggest you immediately contact your bank or credit card company to secure your credit card information. So, LilyVanity.com might be a scam. That’s why we don’t recommend you to purchase anything from “LilyVanity”. Now let’s find out either the product known as MAXCLINIC Cirmage Lifting Stick really works or not. On the basis of the MAXCLINIC Cirmage Lifting Stick complaints that we have found around the internet, we can say some users of MAXCLINIC Cirmage Lifting Stick are not satisfied with the results. However, there are still some users satisfied with the results. Most of the users have complained that MAXCLINIC Cirmage Lifting Stick is not as smooth as it has shown in the advertisements and it doesn’t remove the wrinkle in the same manner as shown in those advertisements. However, people have agreed that it at least lessen their wrinkles for some hours. People have also complained that MAXCLINIC Cirmage Lifting Stick feels like a wax which is uncomfortable to use. Anyway, there are mix reviews for MAXCLINIC Cirmage Lifting Stick, so you can try it by yourself. But we definitely don’t recommend you to purchase this product from LilyVanity.com website. If you are interested to purchase MAXCLINIC Cirmage Lifting Stick, then it’s better you purchase it from the reputed websites like eBay, Amazon and so on. So, it is clear that LilyVanity.com is a suspicious website through our LilyVanity review as above. However, if you still want to add your own Lily Vanity reviews or want to say something about it, then please feel free to leave your comment below. If you want to share this LilyVanity.com review with your friends and families through your social media accounts to make them aware of this company, then please feel free to do so.